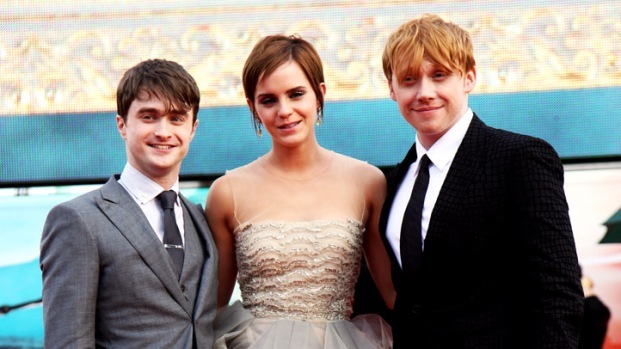 You can nitpick details like the rise in ticket prices, inflation, and length of time spent in theaters, but the truth is that "Harry Potter" has just earned a place as the highest grossing movie franchise of all time to the tune of $7 billion. Called a "stunning achievement" by Warner Bros. President of Domestic Distribution Dan Fellman, the eight films have had unprecedented critical and box office success since its start with 2001's "Harry Potter and the Sorcerer's Stone," and now rank above the six "Star Wars" films on the overall franchise list. Perhaps even more impressive than the sheer size of the franchise is its continuity. Some films can't make it from part one to part two without having to recast keys roles (Think Terrence Howard/Don Cheadle in the "Iron Man' movies), but the major Potter figures have been almost entirely intact from the start (save, of course, for the necessity of having Michael Gambon step into the role of Albus Dumbledore after the death of Richard Harris). Big stars like Emma Thompson, Gary Oldman, and Jim Broadbent come back even as their parts become little more than cameos. With the recent;y released "Harry Potter and the Deathly Hallows Pt. 2" signaling the end of the run for the J.K. Rowling-created universe, Warner Bros. is now forced to turn to DC Comics for their tentpole blockbusters - something that surely has them uneasy, seeing as their first attempt to "reboot" Superman with "Superman Returns" failed, and "Green Lantern" didn't score with fans or critics (so far, only Batman has proven to be a runaway success - with both "Batman Begins" and "The Dark Knight" enormous hits). Rowling recently launched the "Pottermore" web site, but claims she does not currently have new Potter books on her mind, instead focusing on interactive online content.